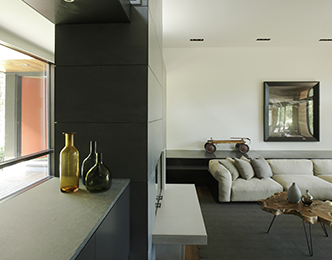 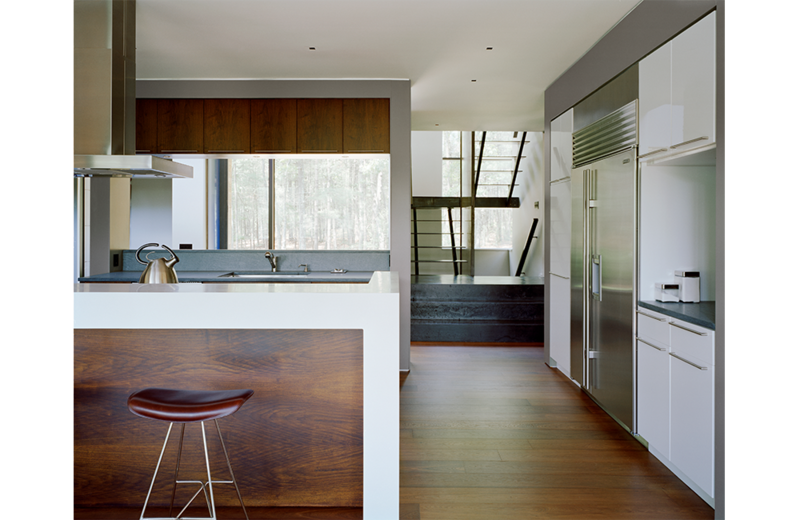 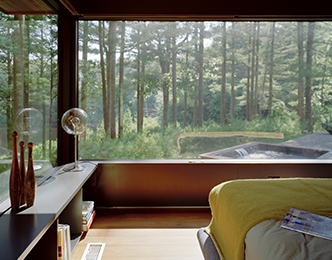 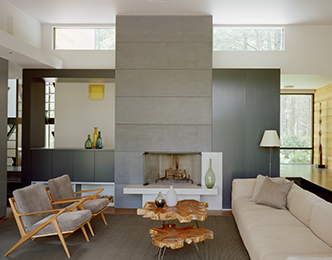 The Kettle Hole House was the renovation of a 1980s home in East Hampton. 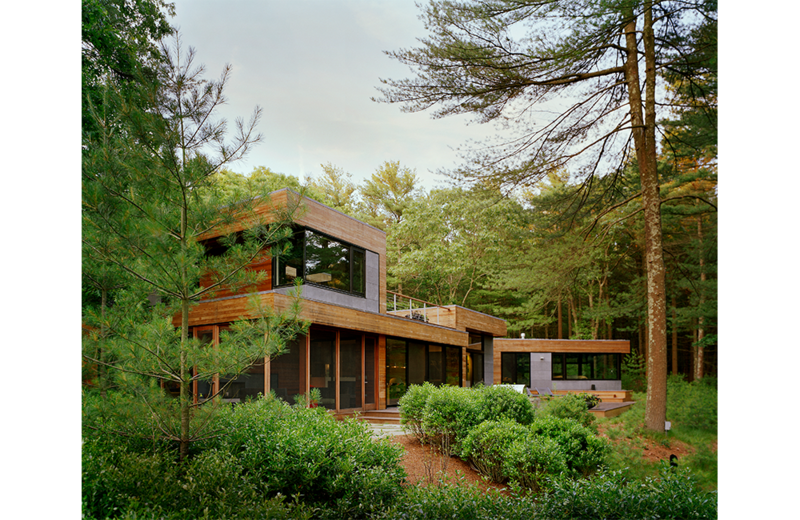 To reflect the woods around it, the exterior was clad in striated cedar. 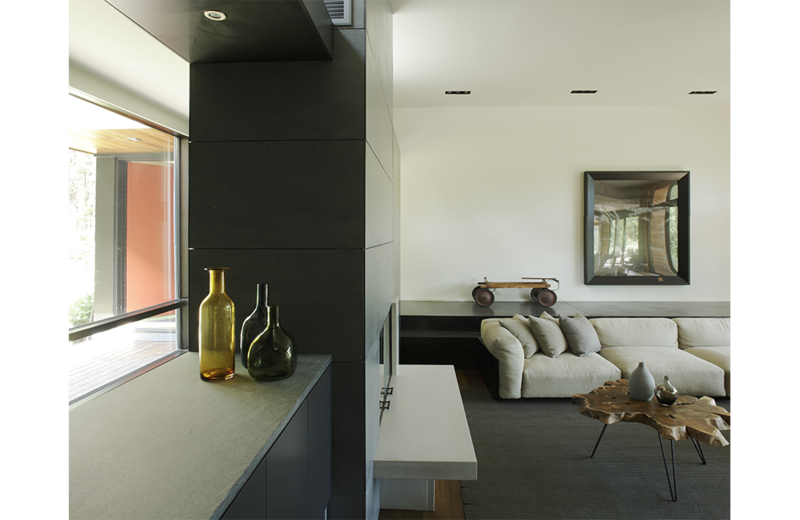 The entry was opened to a double-height space, and the bordering rooms were linked together, creating an open and airy feeling. 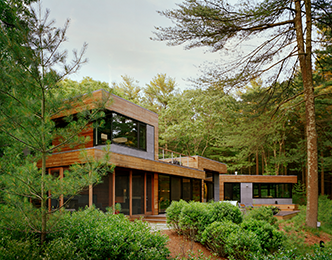 The Kettle Hole House was the renovation of a 1980s home in East Hampton. 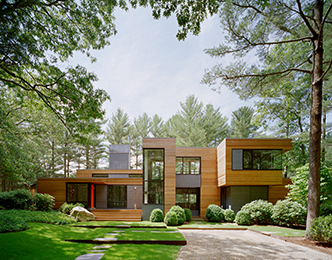 To reflect the woods around it, the exterior was clad in striated cedar. 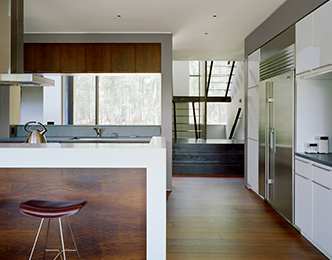 The entry was opened to a double-height space, and the bordering rooms were linked together, creating an open and airy feeling. 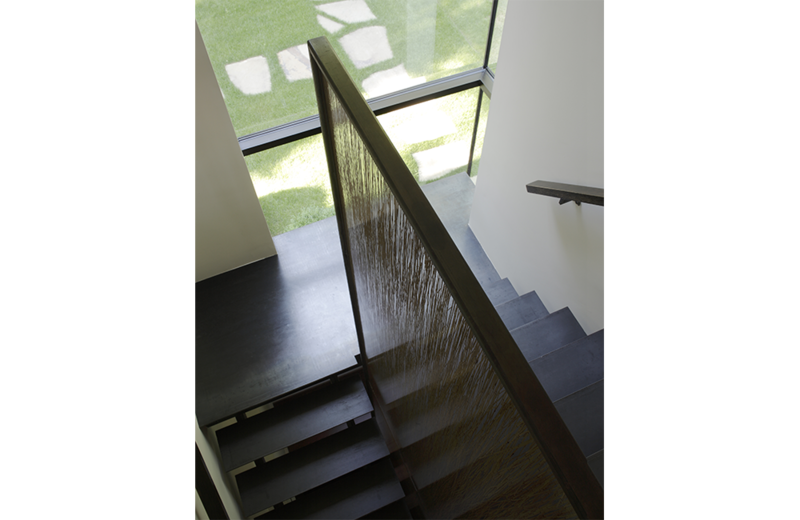 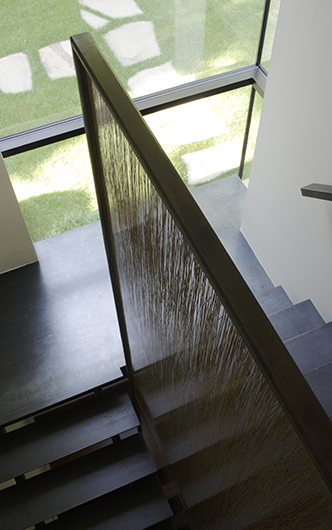 The new open-riser staircase continued this aesthetic with steel plate treads and a translucent partition. 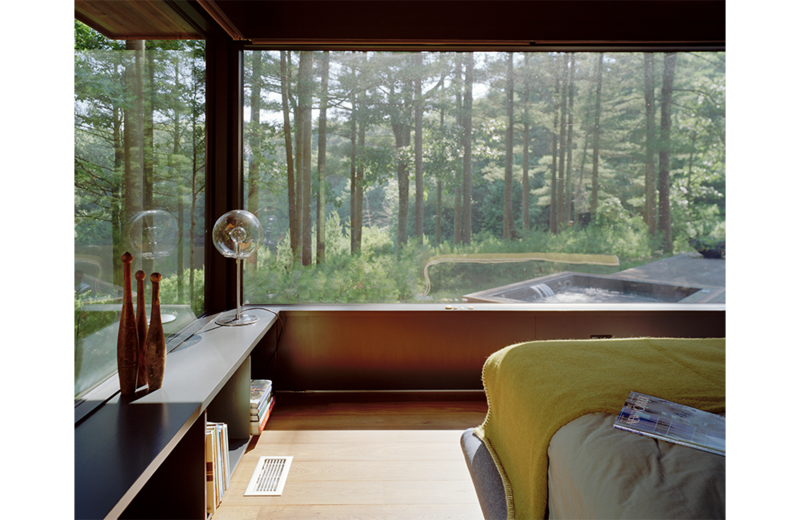 Throughout each room, special focus was paid to windows and the inclusion of natural lighting, making the home feel one with its environment.